What do you get when you mix error with truth? We all know the answer. 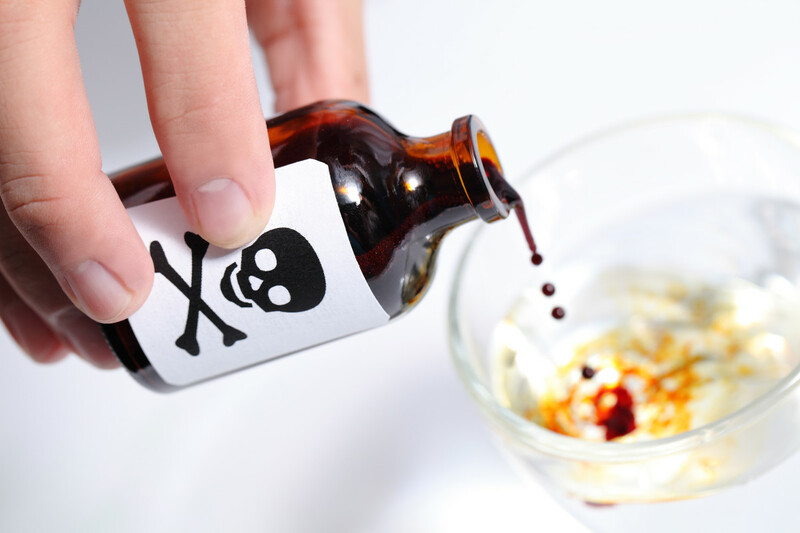 We’ve heard the analogy of the water glass of pure truth to which has been added a few drops of doctrinal poison. No informed person would drink it. But, what do you get when you mix unorthodox, unbiblical “Christian” behavior with outright apostate doctrine and tradition? Well, you might just get a drool bib emblazoned with the crest of “The Holy See.” We’ll find out later this month if such party favors are passed out since the usurper of Christ on the apostate throne by the Tiber has plans to celebrate Pentecost with a charismatic flair. The actual 50th anniversary of Catholic charismania was back in February 2017. (See more about it HERE) It was half a century ago that participants at a Catholic retreat at Duquesne University of Pittsburgh claimed to have experienced the “baptism of the Holy Spirit.” Just as with the evangelical movement – it having started at the turn of the 19th century (See more HERE) – the movement rapidly gained traction among Roman Catholics. Not content to merely blaspheme God, Christ, and the Holy Spirit by its diabolical, anti-Gospel teachings from its gilded basilica-bound throne, Rome’s 2017 Pentecost celebration will find Francis and the church also blaspheming on the very ground where some two millennia ago authentic believers were slaughtered for their faith in the genuine Gospel. This year Circus Maximus will be ground zero for a different sort of “circus” – one in which Rome celebrates its “birthday” as “the” church. “Happy birthday to the Catholic Church! Happy birthday to you, who are the body of the Church! We’re all familiar with our own birthdays, and we celebrate them because they mark the day of the year in which we entered into this life. But did you know you have a second birthday? Because you are part of the body of the Church, Pentecost is the Church’s birthday, and yours as well. And like any birthday, it’s a cause for celebration. Though Rome claims to be “this one Church of Christ,” bolstered by its historic maxim, Extra ecclesiam nulla salus, –meaning “Outside the church there is no salvation” – such a claim is built on the erroneous assumption that the church is defined by apostolic succession, rather than, as Paul wrote, “ built on the foundation of the apostles and prophets, Christ Jesus himself being the cornerstone” (Ephesians 2:20). The “foundation” and “cornerstone” about which Paul wrote are constituted in the Word of God. The Christian faith, as Jude 3 confirms, has been delivered once for all. No progressive transfer of authority is needed for our faith. God’s Word suffices. That Word is to be preached (2 Timothy 4:2) and its sound doctrine taught (Titus 2:1). Scripture hints nowhere of a post-first-century apostolic chain of authority as the identifying hallmark of the church. There is, rather, the singular, complete, and sufficient authority of the Word of God. Christ reminds us that His disciples are identified by abiding in His Word, (John 8:31) not by abiding in an institution claiming apostolic succession. Unlike Rome, the true church has Christ as its head (Colossians 1:18) and exhibits three key features: the preaching and teaching of sound doctrine from Scripture, the administration of the Lord’s Supper and baptism as Christ-commanded ordinances, and the Biblical practice of church discipline. So, according to the Catechism of the Catholic Church (CCC), salvation is actually possible apart from Jesus and the Gospel. If one is sincere enough and “try in their actions to do his will,” they too “may achieve eternal salvation.” This distinctly conflicts with the words of Scripture, however. Given Rome’s lack of Scripture-centric focus and its jettisoning of the genuine Gospel, it is little wonder then that Francis is the ecumenical zealot that he is. 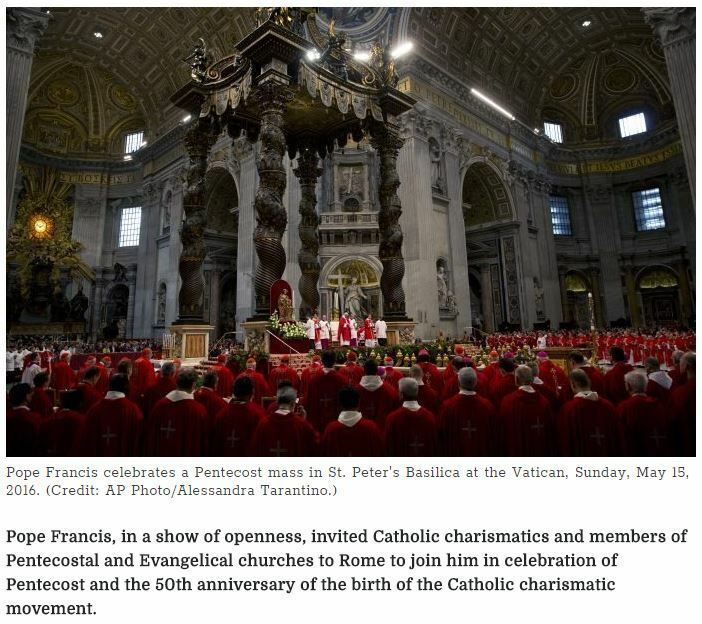 Which, of course, is why he’s celebrating Pentecost by inviting “charismatics and members of Pentecostals and Evangelical churches to Rome” for the gospel denying, doctrine-void Circus Maximus soiree. For Rome, it matters little what you believe, so long as you’re sincere and just want to do good. The true church of Christ looks nothing like Rome. It is primarily the temporal steward of God’s Gospel, with the primary function of teaching sound doctrine to the previously dead in trespasses and sins (Ephesians 2:1) who have been saved by grace (Ephesians 2:8-9). Sincerity doesn’t save you and goods works don’t justify you. Writing of Rome’s 2016 Pentecost celebration, one American Dominican priest noted on his church’s website the following blasphemous comment about Pope Francis. Rome will be greasing the wheels of anti-Scriptural ecumenism with the slimy accelerant of doctrine-crippling charismania. But what Rome celebrates isn’t driven by the Word, by the Gospel, or by the knowledge of Jesus our Savior. (2 Peter 3:18). What will be served is merely a toxic religious cocktail mixing apostasy with error. No one who knows should ever want to consume that. For more on the errors of charismania, see HERE. We also recommend the exceptional Strange Fire conference found HERE. For sound resources on sharing the true Gospel with the deceived trapped within Roman Catholicism, please consider Mike Gendron’s excellent ministry, Proclaiming The Gospel.